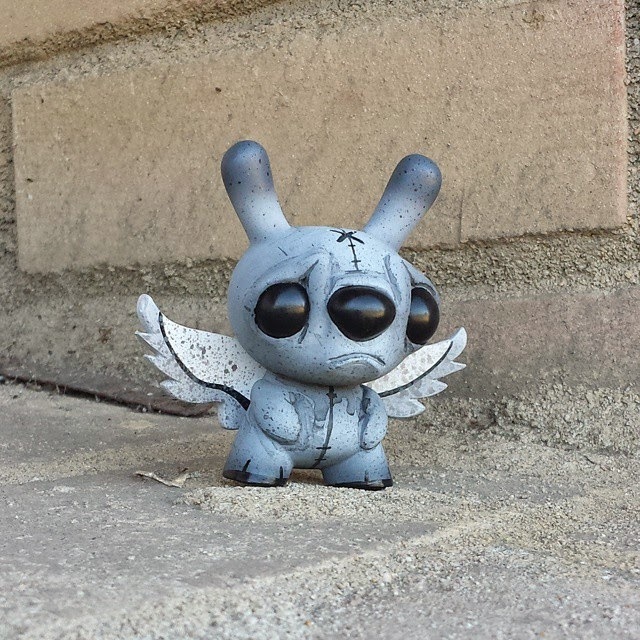 JFury, Justin Phillips, is going to have a 48 hour timed release of his latest Voodoo Bunny Dunny. 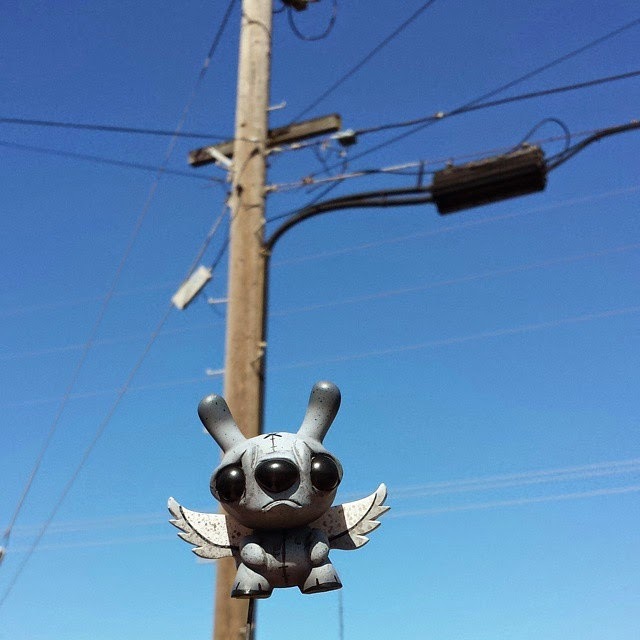 Priced at $60 each plus shipping, everyone will have just 48 hours to purchase one of these limited Voodoo Bunnys. Available from April 17th, at 9pm PDT, the sale will run until Sunday April 19th at 9pm PDT. 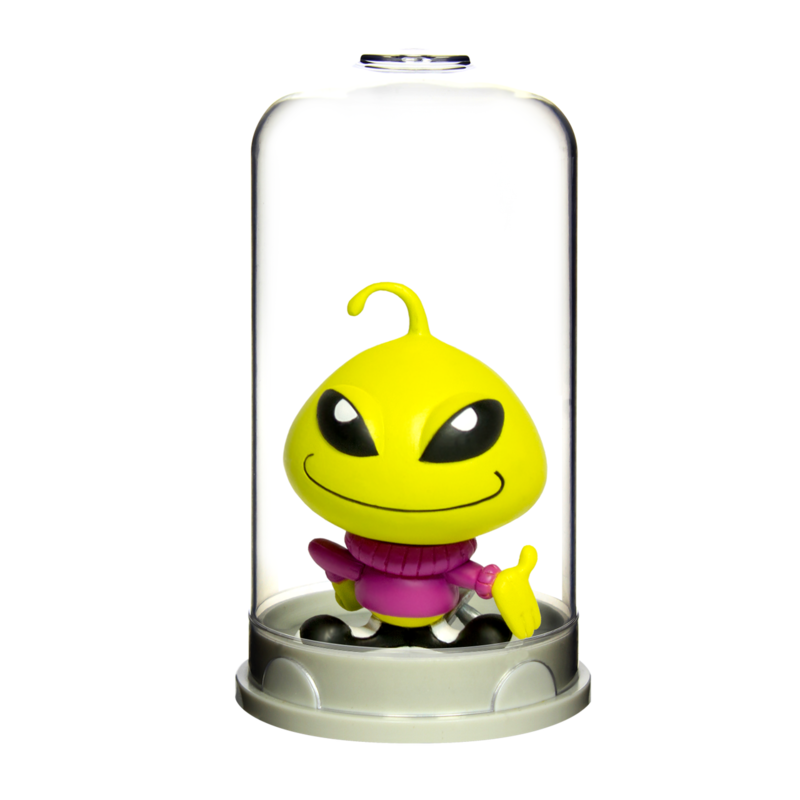 Part of JFury's Lost Friends characters, this little guy is great and should flutter it's way into everyone's collection. 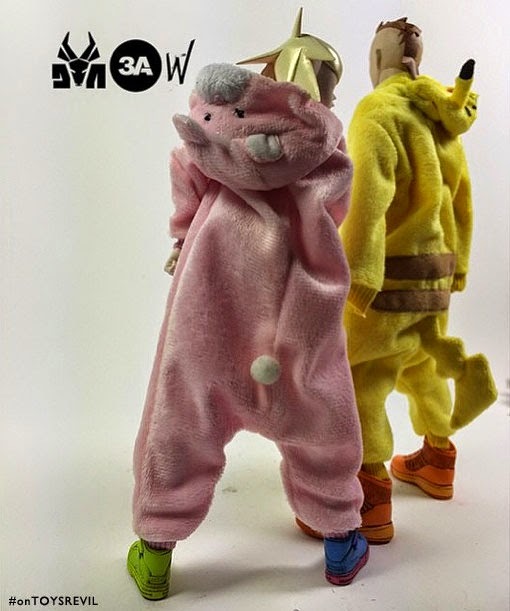 Head on over to JFury's online store after 9PM and pick up one of these limited Voodoo Bunny Dunnys. For those of who don't know, Clutter Magazine (The Clutter Gallery) has teamed up with Luke Chueh and Unbox Industries to produce a vinyl version of Luke Chueh's Dissected Bear head. 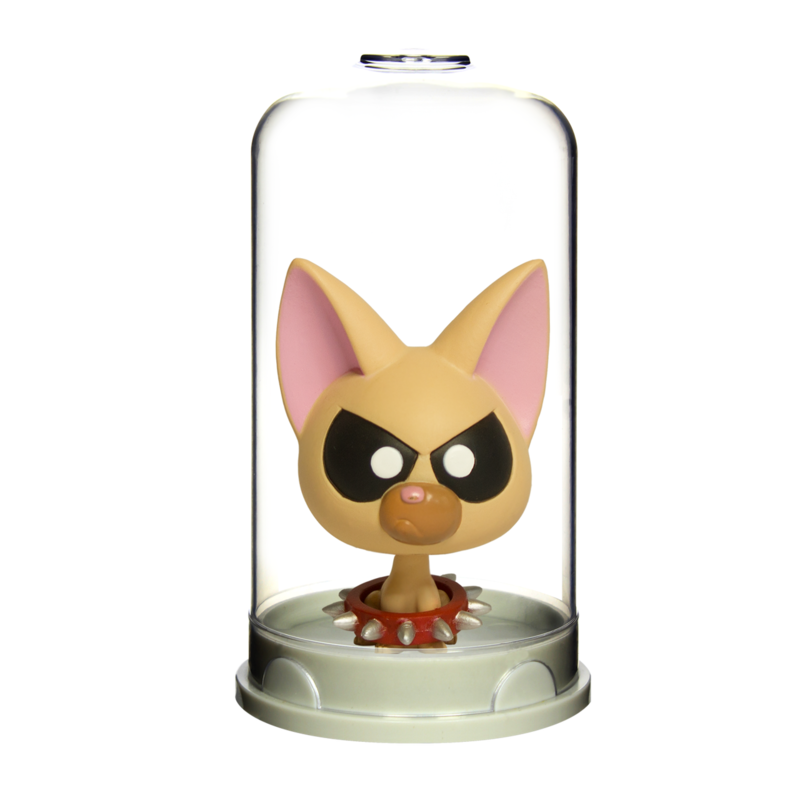 Originally released as a Kenner Blue Prototype resin version at NYCC 2014, a lot of people were pretty bummed that they were not able to pick one up and that they were never going to be produced again. Well, thanks to what is an already funded Kickstarter, the Dissected in Kenner Blue Prototype is now available as both a Reward Tier and add-on to any other reward tier. Priced at $40 plus shipping, the new Tier can now be selected in Kickstarter, or the Kenner Blue version can be added to an existing reward tier for $30. The price is very reasonable, considering that the retail price for the painted Dissected sculpture will be $80, or $60 plus shipping through Kickstarter. Everyone should check out the Dissected Sculpture Kickstarter page and pledge for a reward, keeping in mind that money is not collected until the Kickstarter has ended and is completely funded. 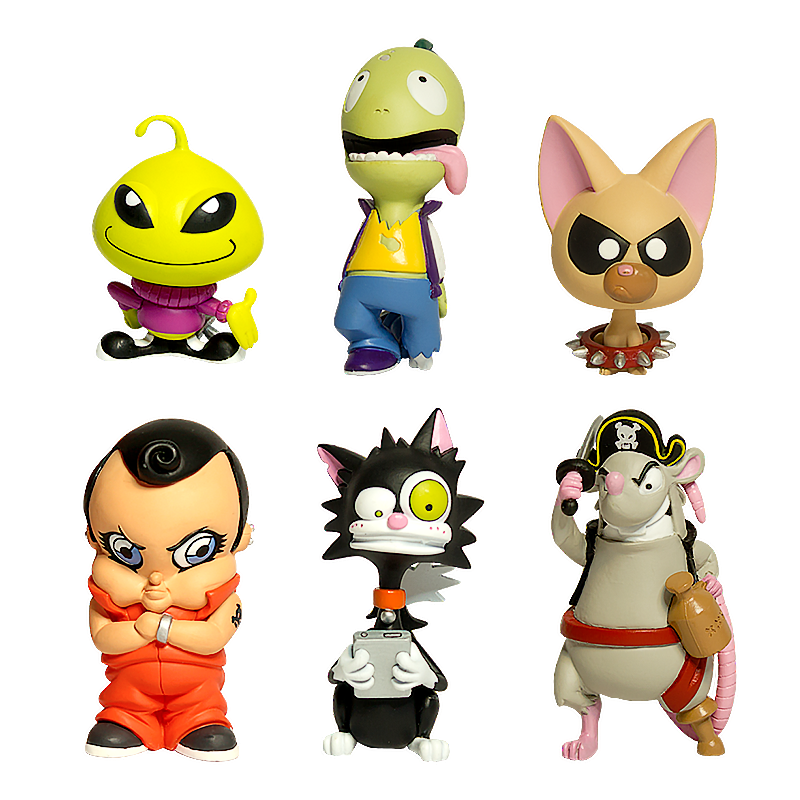 Fizz Kids is a new line of figures from Carbonation Toys. What makes these different from most other pieces is the packaging. 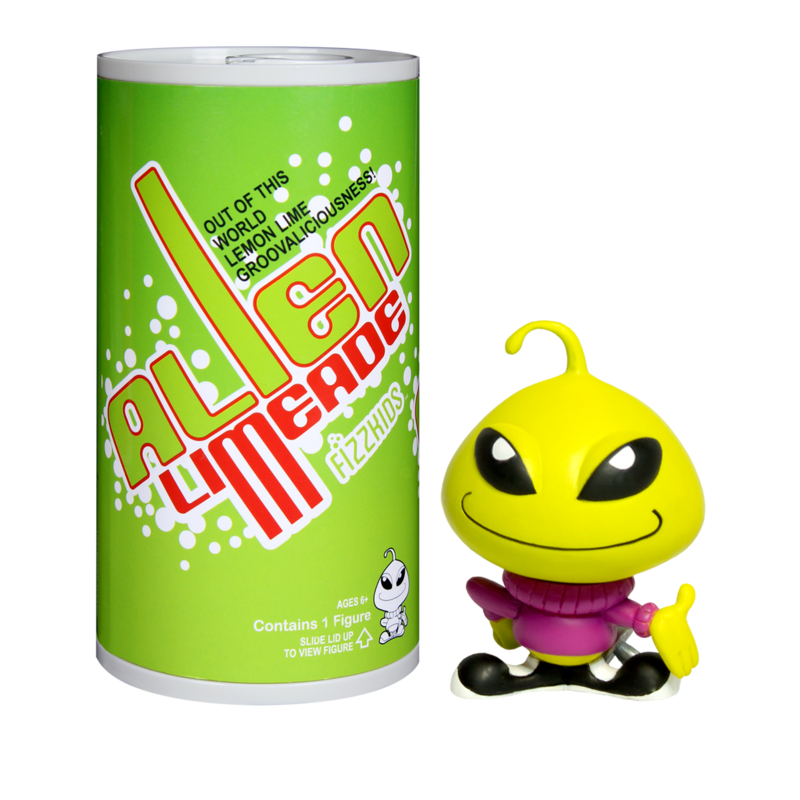 Each figure comes in a custom soda can relating to the individual character. 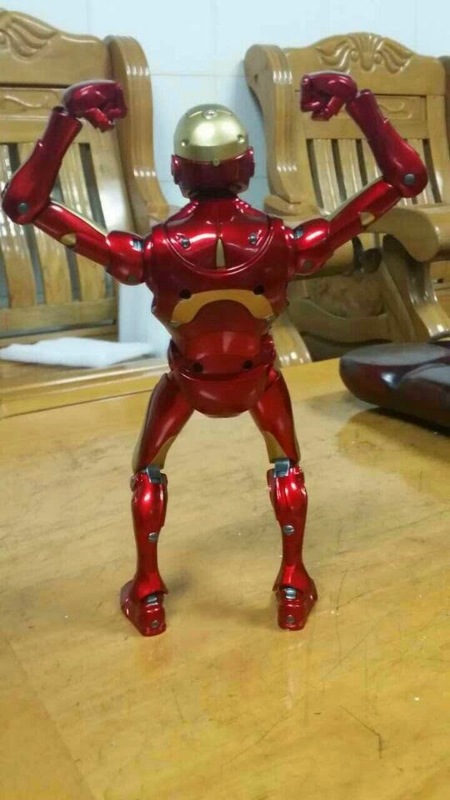 With a twist and pull, the outer shell of the can comes apart from the base and the figure inside is revealed. The sculpts are interesting and the attention to detail in paint and design is great, with figures encapsulated in a plastic dome for ease of display (figures come out of dome to stand alone if you prefer to display it without the dome). 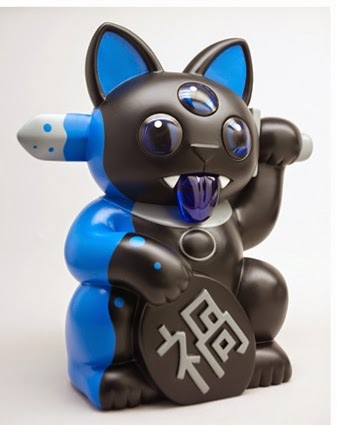 Zukaty Art has just released some new custom paint work on a bunch of Japanese sofubi vinyls entitled "Metal Candy". There are Migoras, Micro Negoras, Nekorons, Nyancocco, Pegleg and a Crazy Eye Dino All are available from $30-40 US in the Zukaty Art store. 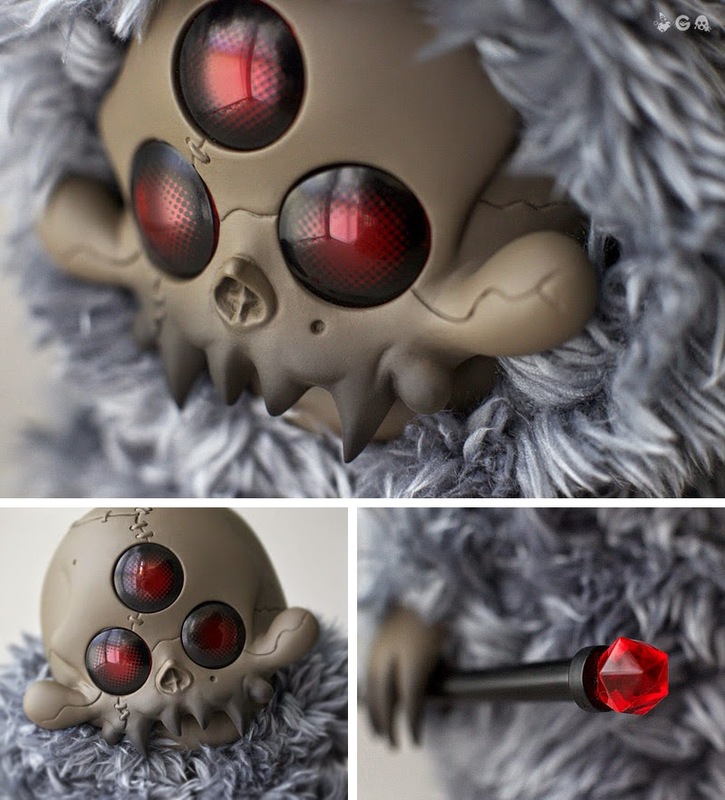 ONLY FOUR 3A World of Isobelle Pascha 1:6-scale figures left! We have been selling a lot of Paschas over the past few months as preorders. 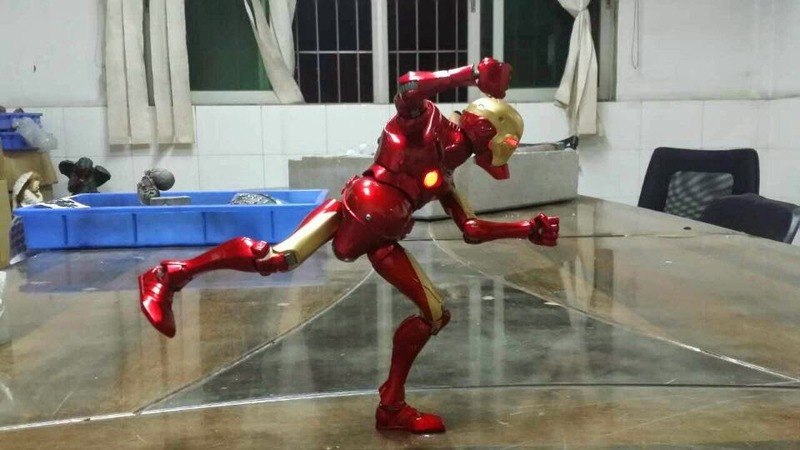 They are now READY TO SHIP to us from HK, so now is a great time to preorder. Very short wait. Our stock is shipping by air (Express) soon. 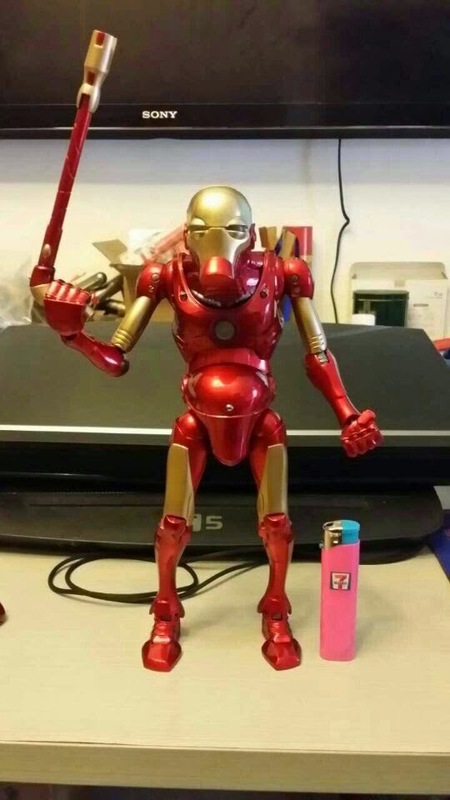 We have the Bambaboss Cosplay, Bi Lingual Droid Cosplay, Wampi La Cosplay and Kuntsler Cosplay figures left. 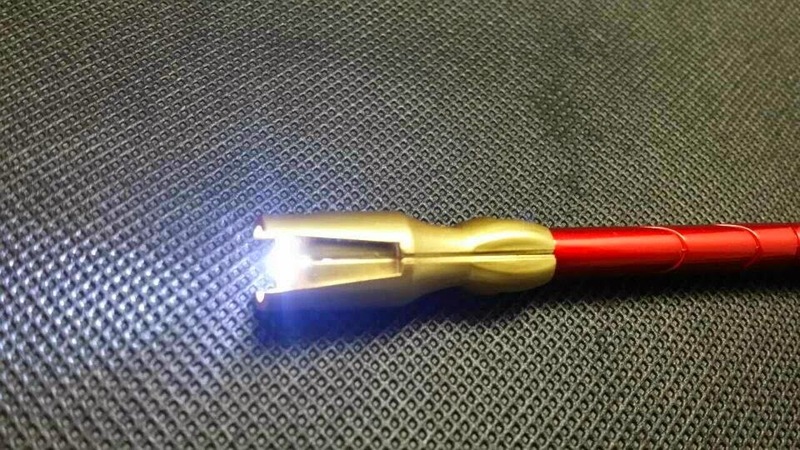 These are pretty badass, and like all of the 3A we've ever stocked, these WILL sell out completely. So don't sleep! Click here to buy these 3A Paschas. 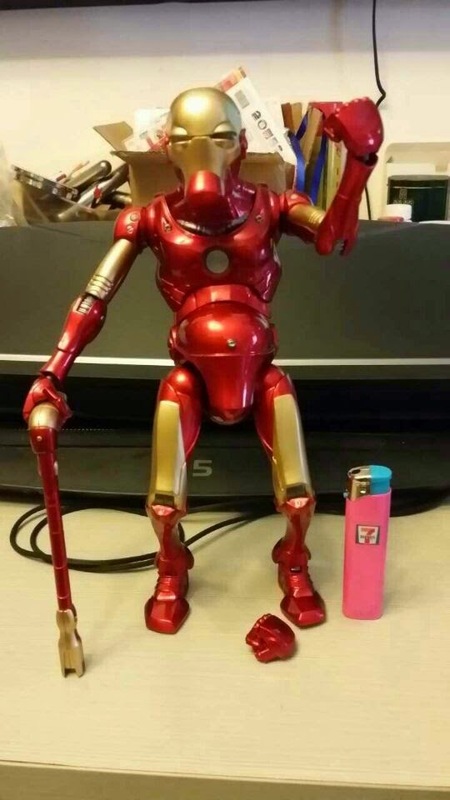 This piece is highly articulated, 12 inches tall, with Old Man Cane and light up eyes, Arc Reactor chest and light up cane. I would guess I'd have to sell these for $300 shipped like the Popeyes. As always, hit me up using the contact form to the right, or leave a comment, if you're interested. Basically with Headplay items I just order the qty that I need to satisfy your requests. 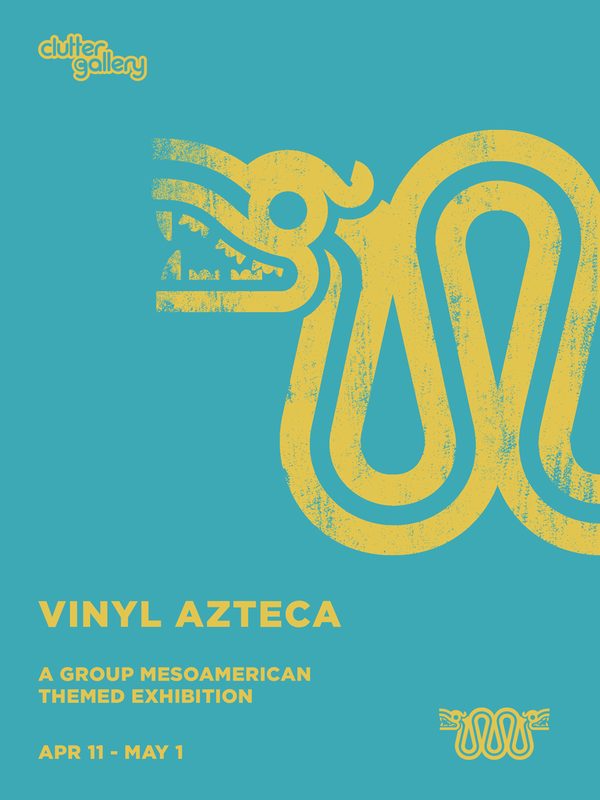 The Clutter Gallery is currently showing a group Mesoamerican Themed Exhibition titled Vinyl Azteca. With the opening reception occurring on April 11th at Clutter Gallery in Beacon, NY, the show will run until May 1st. All pieces are available to purchase online, as well as in person at the gallery. For those in the area, be sure to stop on by The Clutter Gallery and show them some love. 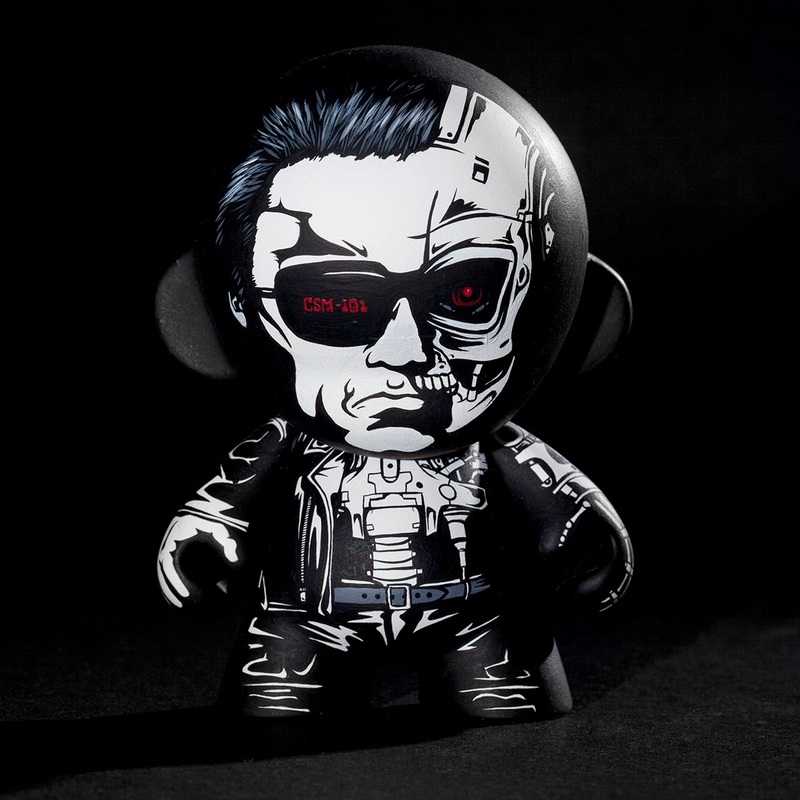 Cyberdyne Systems T-800, Model 101, is Jon-Paul Kaiser's latest custom. 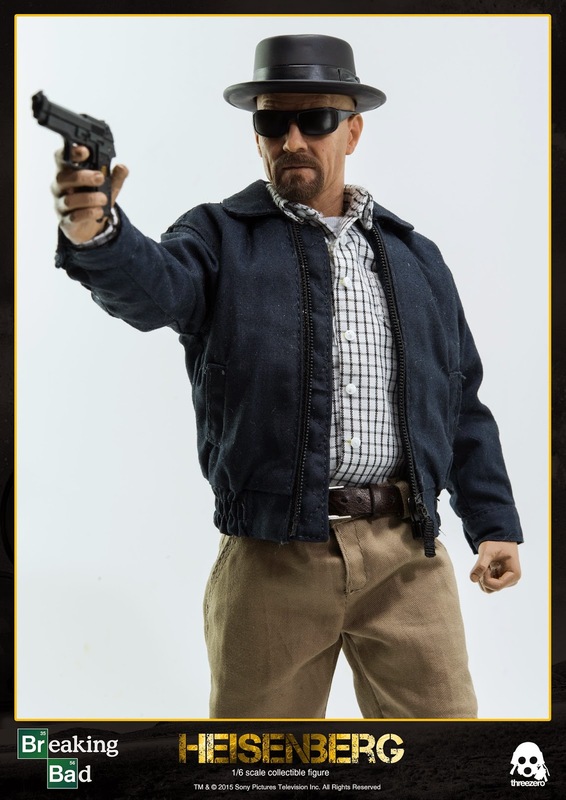 Most people know the Model 101 as the Terminator, played by Arnold Schwarzenegger. Jon-Paul was commissioned to recreate the iconic character and he actually spent quite a bit of time getting it perfect. Since Arnold has such a distinctive look, Jon-Paul had some trouble capturing Arnold's likeness, going through a lot of trial and error. Jon-Paul even sanded and resprayed a few times to get the custom right. 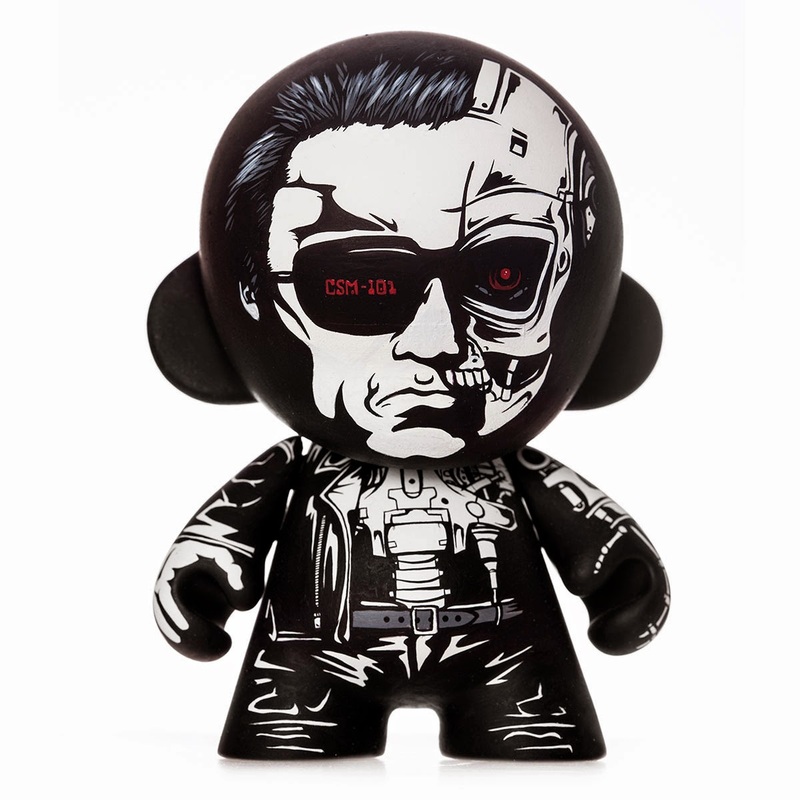 The end result is an amazing representation of the Terminator. Photos were taken by photographer Justin Allfree, Jon-Paul's go to photog.